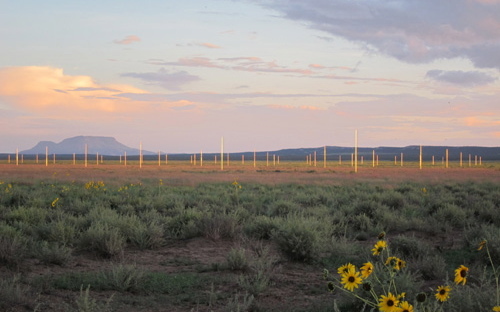 I’m off this Memorial Day weekend into the desert of Quemado, New Mexico to take part in Walter De Maria’s monumental land art project, The Lightning Field. Without cell service or internet I’ll be spending quality time in a simple hut, interacting with the art and the remote landscape. So, no live blogging but expect a full report next week. Fingers crossed for lightning. Not that it’s essential to the experience: it’s about the journey and not the destination. Even when it’s all about the destination.